With consumer demands quickly stretching already diminished IT budgets past their limits, hyper-converged infrastructure is a cost-efficient, high performing storage solution alternative. However, many are reluctant to accept this all in one solution in fear of getting stuck with a single vendor. 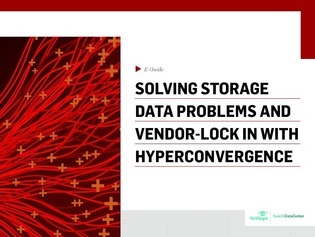 In this e-guide, learn the difference between hyperconverged and converged infrastructure, four common data problems that can be solved with hyperconvergence as well as how to avoid vendor lock-in.